This post is not so much a recipe but more an explanation about something I find quite exciting and something you may like to know more about. Many of you will probably have never heard of Kombucha, as I hadn’t until a few months ago. At the beginning of the 20th century, scientists, noticing huge increases in cancer, set about to find a cure. Their efforts led them to discover entire regions of Russia and Germany where people were seemingly immune to cancer and autoimmune diseases and after much research, they found that these were the regions that grew this Kombucha organism that people brewed at home into tea. They began a series of experiments which not only verified the hypothesis, but began to pinpoint exactly what it is within Kombucha that was so beneficial. German scientists picked up on this research and continued it in their own direction. Then, with the onset of the Cold War, research and development started being diverted into other fields. It was only in the 1990s, when Kombucha was first brought to the U.S., that the West has done any studies on the effects of Kombucha, and those are quite few in number. As is typically the case in the U.S., no major medical studies are being done on Kombucha because no one in the drug industry stands to profit from researching a beverage that the average consumer can make for as little as 50 cents a gallon. So here we are, individual people, understanding the benefits of it and trying to convince you, without the help of major pharmaceutical companies, that this could be all you need to prevent degenerative and toxic in your family. 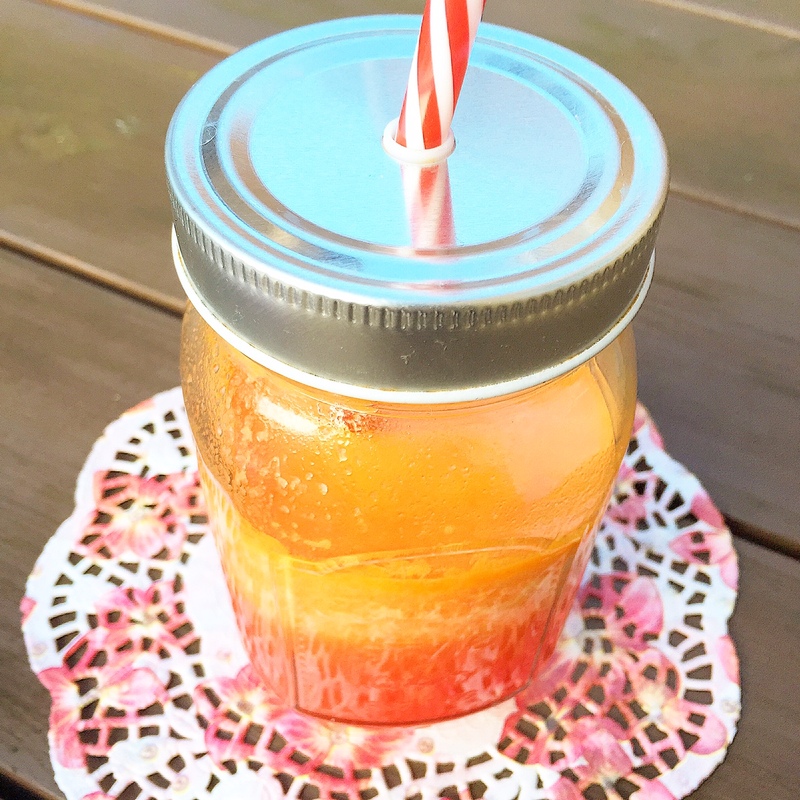 Kombucha detoxes the body, filtering out toxins, protects the joints, helps kill off cancer cells and, its most important benefit; it is the world’s strongest natural probiotic and I am a big fan of probiotics! If you keep your gut healthy, your immune system will stay healthy and you are therefore less susceptible to disease and illness. The main picture at the top is of my home brew. The jar in the middle contains a few SCOBYs. After a week or so, the Mother SCOBY creates baby SCOBYs, and these create more, so you have an endless reproduction of SCOBYs which you can give to people so they can brew their own tea, or you can keep them in a ‘SCOBY hotel’ – one jar with lots of SCOBYs. I have one SCOBY hotel and about four jars of Kombucha fermenting at one time. Once a week, I filter it, bottle it up and flavour it with anything from elderflower to pineapple to cherry. It fizzes up and just tastes like sweet, fizzy iced tea – it’s so delicious. 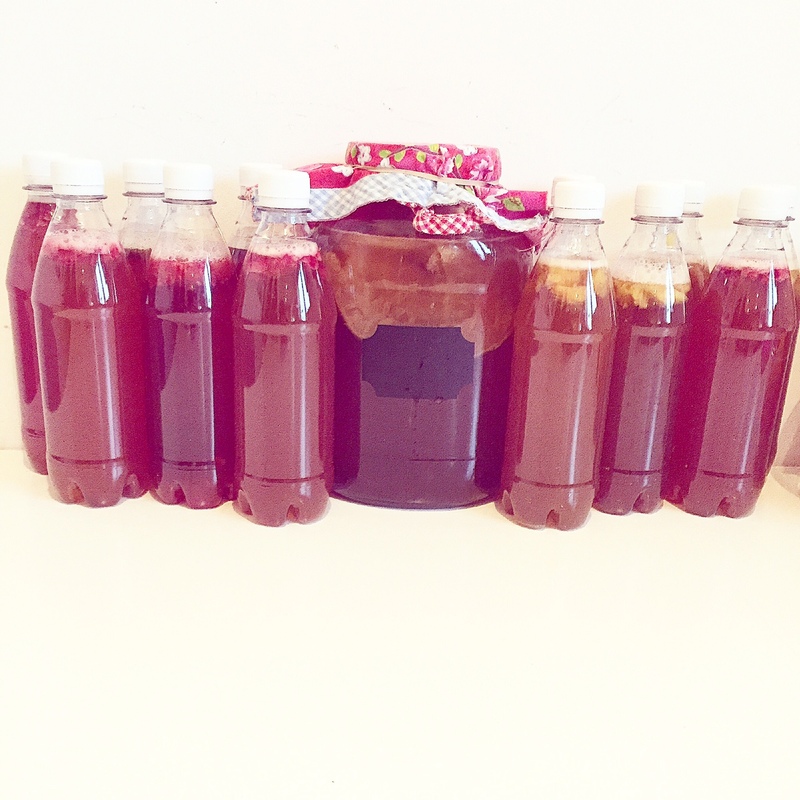 My family were dubious at first – no one likes the word ‘fermented’ – but they all love it now. My parents and husband can’t get enough! 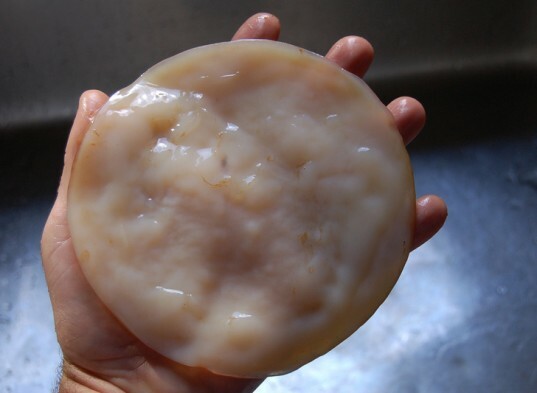 If you are in LONDON and you’d like me to give you a SCOBY for free so you can make your own, I can do that. Otherwise I sell 500ml bottles for £3 or 1L bottles for £5. Happy guts = happy, healthy humans! I just love this picture! It snowed for the first time this year and I thought it would be nice for you guys to see it, especially Raine, who is probably lying by the pool right now – it’s summer in South Africa you know! Anyway I need my anti-oxidants at the moment and acai berries have more anti-oxidants than any other known food. These anti-oxidants come from the high count of polyphenols in the berries, this is what gives them their gorgeous purple colour. If you want an immune boost, get yourself some Organic Burst acai capsules and use them as much as you can! If you add a probiotic capsule to this also, you’re really doing all you can for your immune system right now! 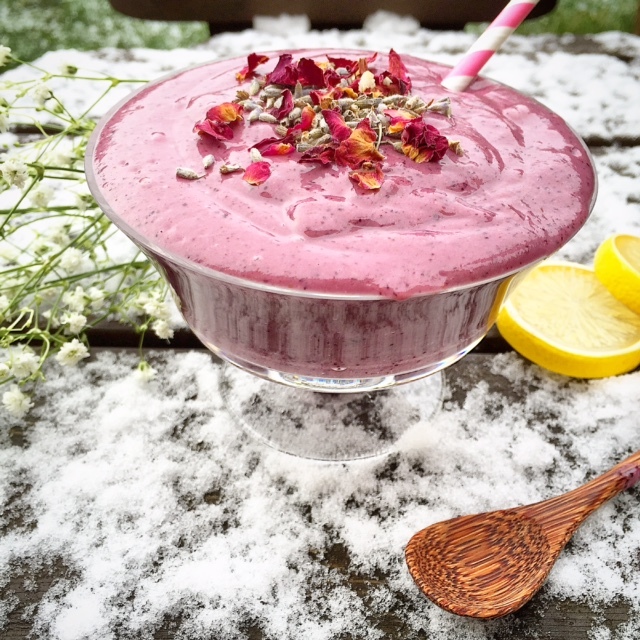 Simply put all the ingredients in your blender, in that exact order, and blend away! Pour into a glass and enjoy the sweet, smooth taste. It is difficult to consume enough of the plants we need to sustain ourselves with the right nutrients. By juicing, we help fill our bodies with these nutrients and cleanse the cells. This creates new, healthier cells instead of feeding old ones with what they need for cancer to emerge. Since our cells constantly regenerate, we can get rid of disease altogether if we do the right things. I like to start my day with a refreshing green juice. 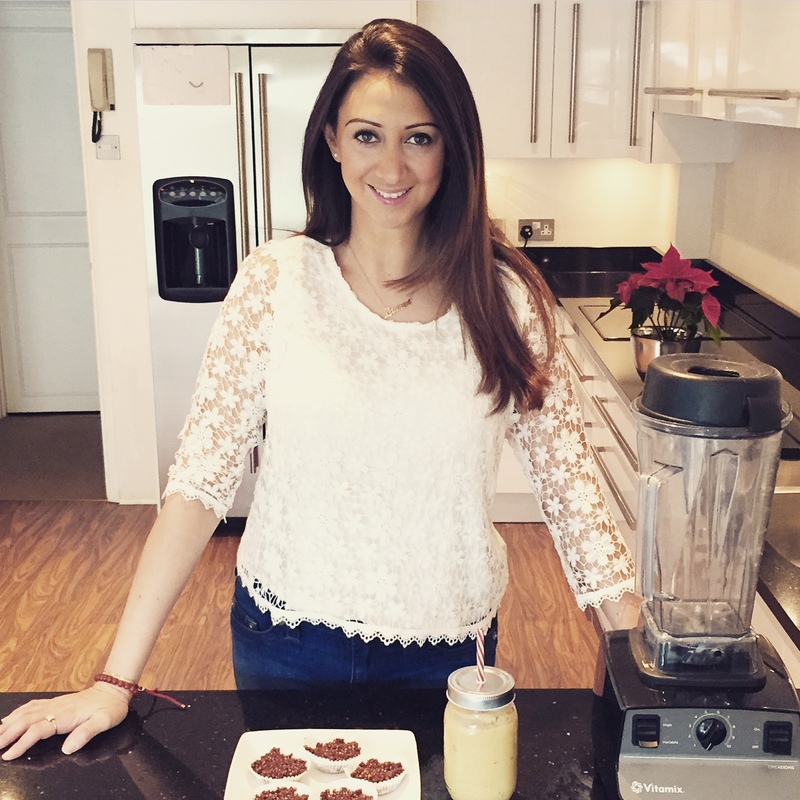 Now, if you’ve never juiced before, green juices might look horrible, but your taste buds do get used to it – it only takes three weeks to create a habit! – and I make them taste yummy with limes! 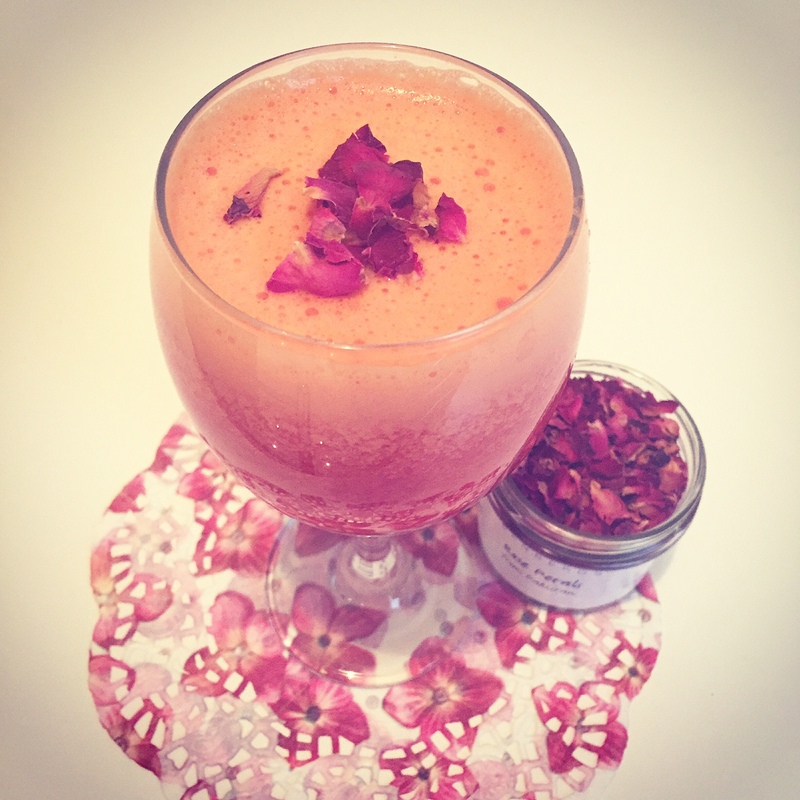 It is hard to advise on exact quantities with juices as I don’t measure mine out, I just make enough for a glass so you may have to play around with yours to get used to how much you need of each ingredient. If I say ‘a bunch of kale’, just experiment! 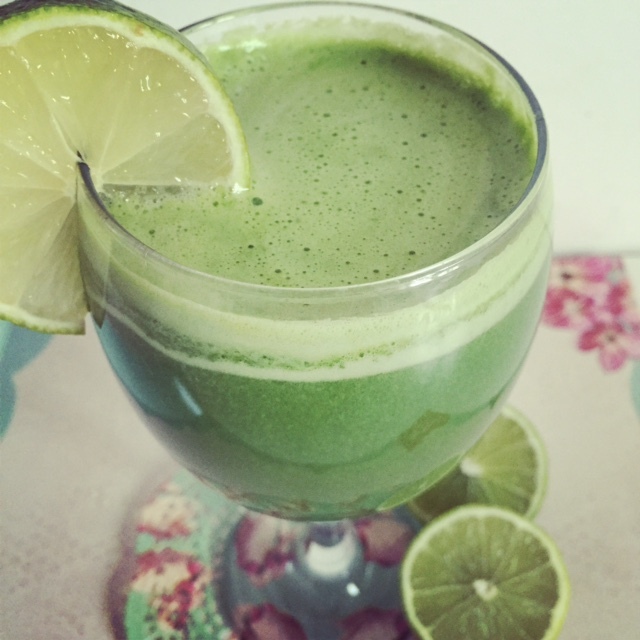 Simply put all ingredients except the lime juice and spirulina into the juicer. Add to your glass and mix in the lime and spirulina and add an ice cube. Drink and enjoy!